After the NGO CPIL, the petitioner in the 2G scam case and also in news for the controversy regrinding the contents of the visitors register of the CBI Director tendered an unconditional apology to the Supreme Court, the Apex Court agreed to hear NGO’s plea for recalling its order by which it had directed that name of whistle-blower be revealed. The NGO apologised to the Supreme Court for its inability to share the name of the whistle-blower. Reportedly, the Supreme Court also asked the Special Public Prosecutor in the 2G case, Mr. Anand Grover to assist the Court in deciding the petition relating to the visitors register of the CBI Director’s residence. The Court ordered that all the relevant documents, including the CBI file notings and visitors’ register of the director’s residence be given to the Special Public Prosecutor. Meanwhile, the counsel for CBI Director Mr Ranjit Sinha argued that the case should not be heard. He also submitted that there was no interference in any of the cases investigated by the CBI. The point of disclosure of identity of whistle-blower was also pressed upon by Mr. Sinha’s counsel. However, the Supreme Court rejected the contentions made by the CBI Director and opined that opinion of Special Public Prosecutor has to be considered as any order by it would have implication in the 2G cases. The CBI Director has been at the centre of controversy for quite some time now, with Livelaw covering each aspect of the same. CPIL quotes UU Lalit’s letter, says it forced CBI director not to file separate affidavits in 2G case. Another controversy faces CBI Director in 2G scam. Activists want SIT Probe in CBI-Gate. 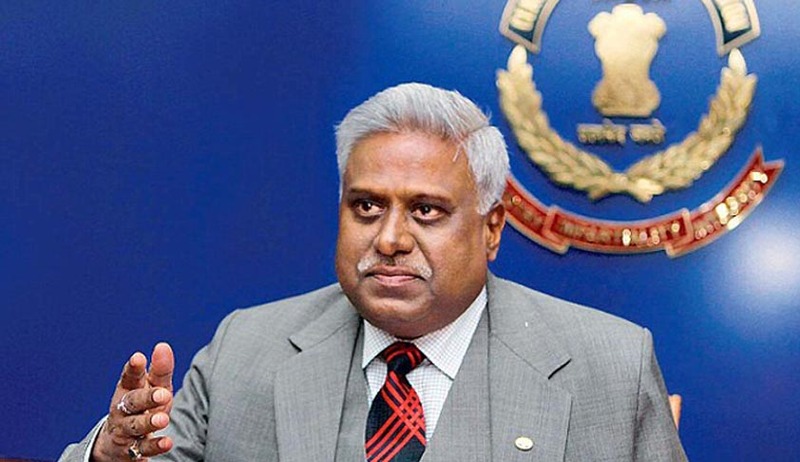 CBI Chief Ranjit Sinha submits affidavit over Visitors’ logbook controversy. Apex Court demands reply from CBI Chief on visitors’ logbook. Supreme Court denies CBI Director’s plea restraining media.